You probably know that Bloomskincare is all about improving your skin from inside out. It is not only the best natural Korean skincare products we promote. We do support clean and healthy lifestyle as well. We do think that healthy skin equals beautiful skin. And it is so great to see more people converting into healthier lifestyle and natural beauty products. 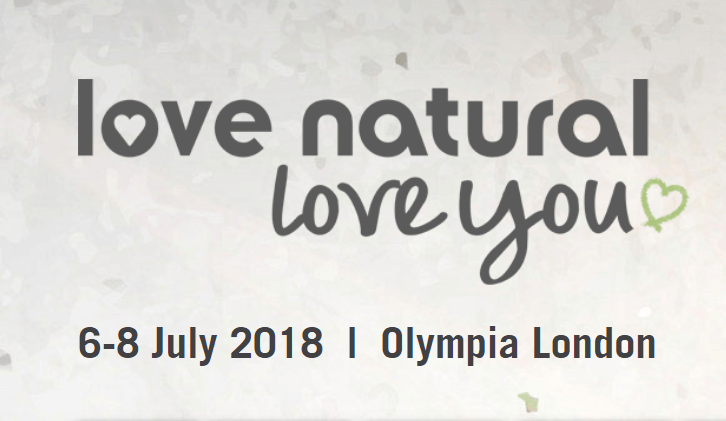 We are delighted to be a part of the most interactive and fully comprehensive natural and organic show in Europe – Love Natural Love You, that takes place on 6-8 of July in Olympia London. It dedicated to indulging your craving for natural beauty, food, drink, fitness, health and home! Love Natural Love You is the show devoted to making you look and feel your absolute best. We do realise how important it is to be aware of what exactly we are applying on our bodies. From cleansers to moisturisers, shampoo to make up, it is important to know what it’s made of. Get those nasties out of our skin products – we want glowing skin the natural way! And lucky for you, you can find Bloomskincare at the stand number L11, where you can try our amazing Korean skincare products full of natural goodness, get your FREE skincare consultation and enjoy shopping with our very special offers! Go on – pamper yourself natural way! It’s time to Bloom! This entry was posted in health, life style, Skin care and tagged bloomskincare, korean beauty in uk, Korean cosmetics in UK, Korean skin care in UK, Love Natural Love You Show.